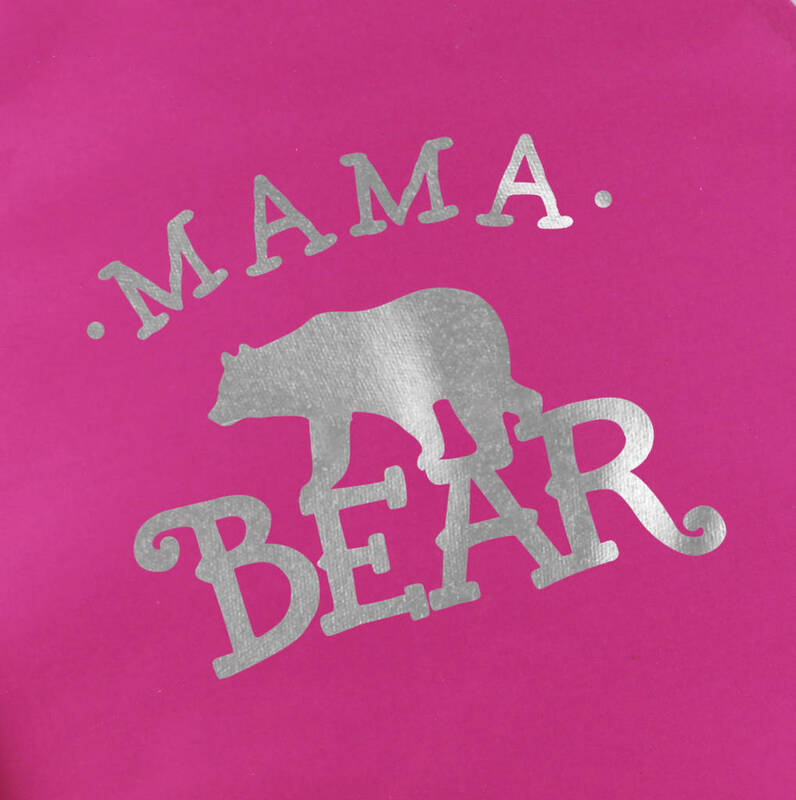 This delightful ladies apron features a Mama Bear design in a range of metallic colours. 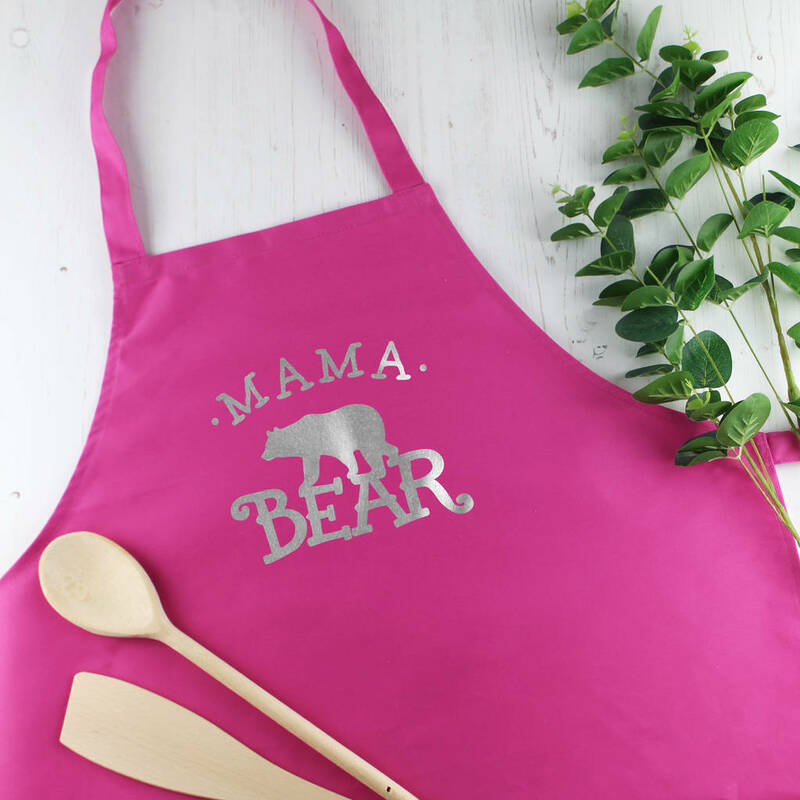 The apron is the perfect stylish gift for mum. Betty Bramble aprons are premium quality and professionally printed in our studio. This stylish design can be printed in yellow gold, silver, copper or rose gold onto your choice of coloured apron. Our hard wearing, durable aprons are available in bright pink, red or navy blue. A lovely gift for mum to think of you every time she wears it.